Golden amber color. Attractive aromas and flavors of caramelized sweet agave, warm straw, sticky toffee pudding with raisins, charcoal, cherry cobbler with caramel, and ripe cantaloupe with a round, vibrant, dry-yet-fruity medium-to-full body and a warming, complex, long finish with accents of chicory smoke, dry rub, dried apricot, gingerbread cookies, orange confection, and white pepper finish. A lengthy and complex Irish blended whiskey worthy of a neat pour. Bottom Line: A lengthy and complex Irish blended whiskey worthy of a neat pour. 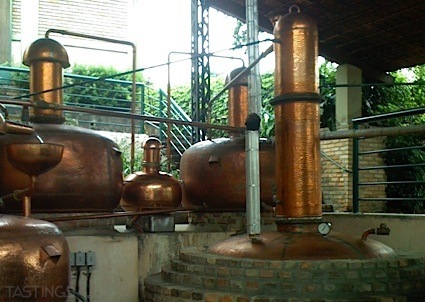 Blended Irish Whiskey is a blend of malt and grain whiskies made with column stills. 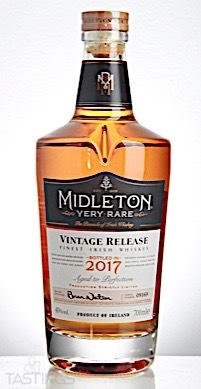 Midleton Very Rare 2017 Irish Whiskey rating was calculated by tastings.com to be 94 points out of 100 on 7/24/2018. Please note that MSRP may have changed since the date of our review.